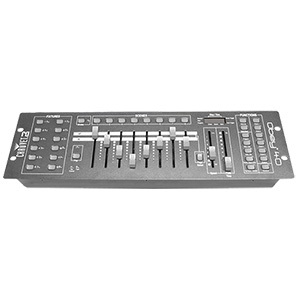 The Chauvet Obey 40 is a universal DMX-512 lighting controller that can manage up to 12 intelligent lights with up to 16 channels each, for a total of 192 DMX channels. 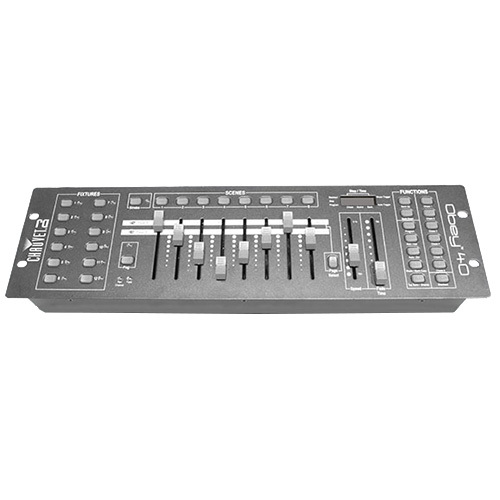 The Chauvet Obey 40 gives you control over 30 banks of 8 scenes for 240 scenes total, 6 sets of chases, program fade and speed time into each step, reversible sliders, re-assignable channels, fog & strobe control, and the sequential linking of chases. 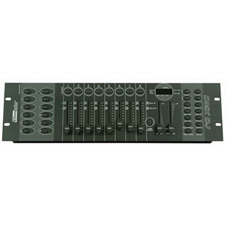 MIDI compatible, The Chauvet Obey 40 DMX Lighting Controller works on beat activation, tap-sync, and auto run, and fits into a 3-space rack mount.